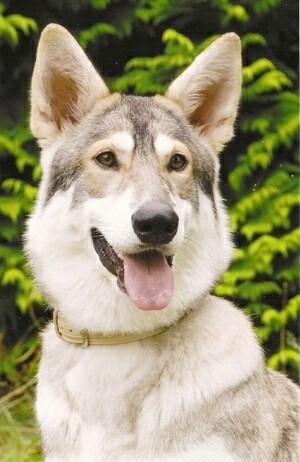 "Kodi the female Northern Inuit at 18 months old—she is very lively, she likes to swim in the sea and in lakes. 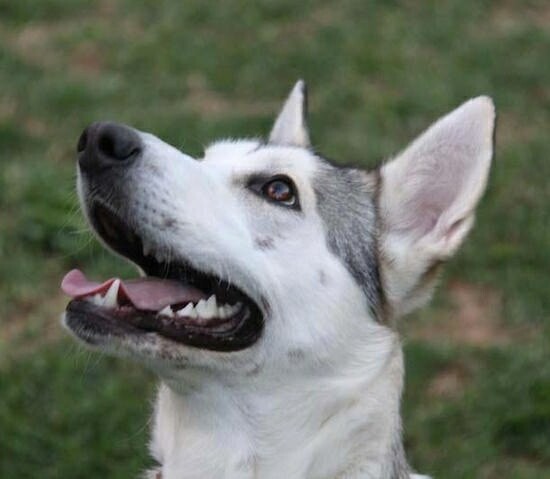 She is a very calm dog and is always happy to accept another dog. She also loves a ride in the car, and has come in 1st in many events for prettiest female." 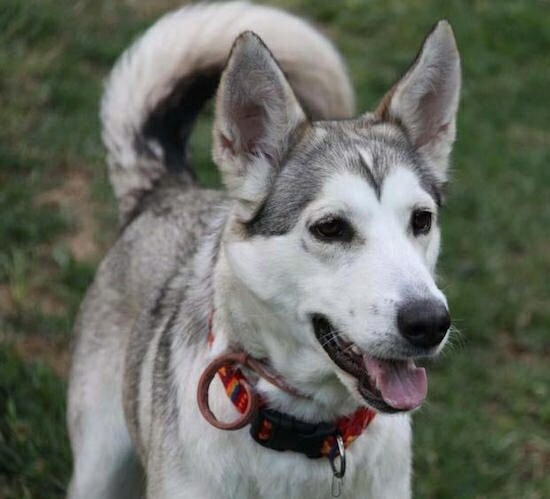 Tara the Northern Inuit Dog at 10 months old—"Tara is extremely friendly, clever and playful. 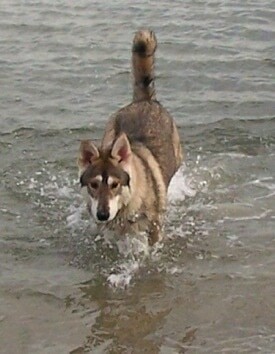 She loves long walks, especially to the beach, where she loves to swim. She easily learned to sit and knows other commands. Still working on the command "speak". It seams she cannot understand anything that has no logic. She hates the leash and I must admit we rarely put her on a leash. She gradually learned to heel, but still is weak when spotting a cat. She loves to chase neighborhood cats, otherwise she is very friendly with our cat "Mimi". Tara has brought much joy to our family!" 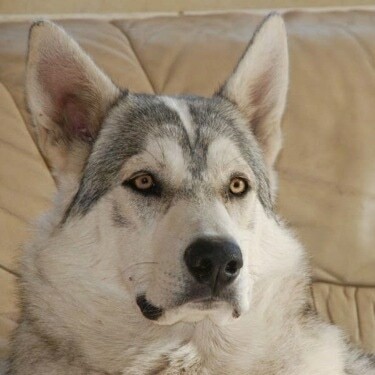 "Kodi the female Northern Inuit at 1 year old—she has very nice shade of colours; white, black, wolfy greys and browns, etc. She is friendly. 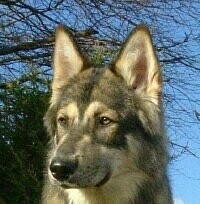 Needs lots of exercise, just like normal dogs." Freya the Northern Inuit Dog puppy at 14 weeks old— "She is a fabulous dog…striking looks and a wonderful, loving personality."